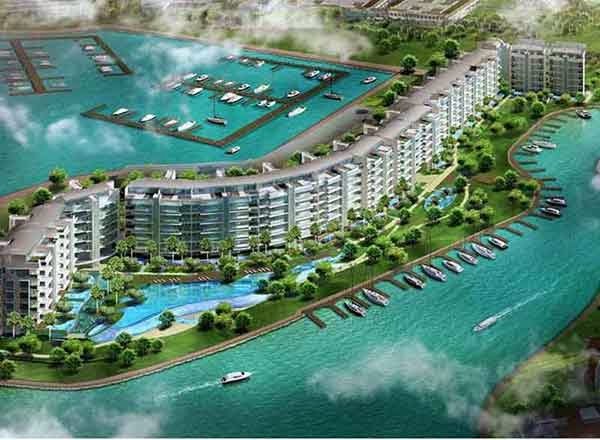 Residences @ W Sentosa Cove location is ideally located at Ocean Way, Sentosa Cove at District 4 Singapore. The extraordinary structure is developed by the renowned Cityview Place Holdings Pte Ltd. It holds 228 luxurious residential units in a 7 blocks of 6-storey building. Its TOP is in year 2010. Residential units consists of 2BR, 3BR, 4BR, and Penthouses. All are fully equipped with modern facilities and high-end interior and exterior furnishings. Visit Residences @ W Sentosa Cove Brochure to download the brochure. Highlighted by the enchanting marina scenery, Residences @ W offers the grandest and luxurious lifestyle with the comfort of nature right within the vicinity of this exceptional property.